It is without argue that developer HAL Laboratory are responsible for some of the most beloved franchises in video game history; from the brilliant platforming adventures of Kirby to the cult RPG classic Mother series, not to mention a certain all-star fighter featuring many of gaming’s most famous faces, it’s no surprise that many would consider HAL as developers to be one of Nintendo’s most valuable partners. 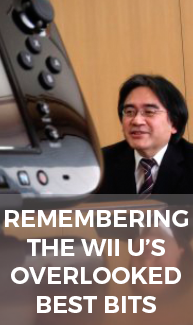 HAL have not only been responsible for putting out some unforgettable titles, but have also played massive roles in the careers of many legendary figures in gaming, such as Kirby creator and Smash Bros. director Masahiro Sakurai and the late Satoru Iwata, former president of Nintendo who worked on fan favourites such as EarthBound. HAL’s most recent title, minimalistic eShop puzzle-platformer Box Boy!, features some fiendishly good puzzles, charming aesthetics and proves the point that HAL are still perfectly capable of creating unique and high quality titles, even when dealing with a brand new IP. 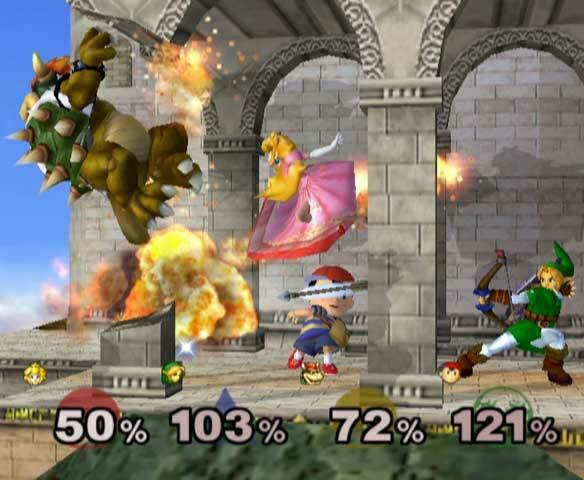 However, it is often forgotten that HAL’s origins were not routed in purely making games. 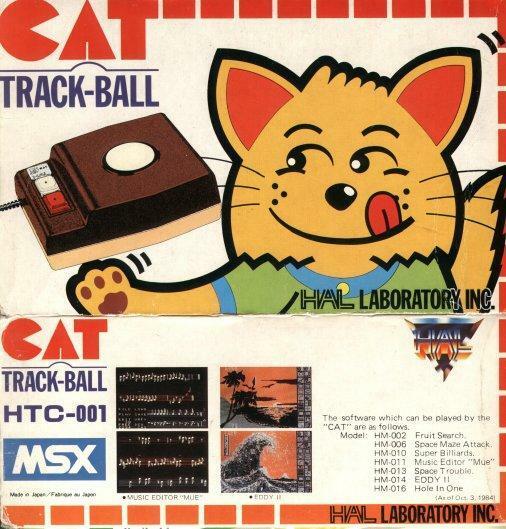 Following their establishment in 1980, a group of former department store employees worked late into the night from their rented Akihabara apartment creating software and unique peripherals for the MSX computer, notably a trackball controller such as the one used today by Sakurai. 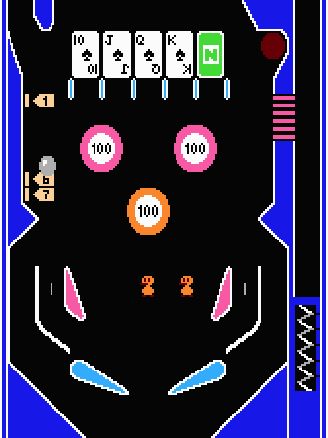 In its early years, HAL successfully self-published many of its own titles, even establishing a US branch based in Oregon, and maintained relations with various other companies such as collaboration projects with Commodore, Sony and eventually Nintendo, who set HAL to work on their first project of finishing the US NES launch title Pinball (1984), which had fallen behind schedule. This would be the dawn of the beloved HAL Laboratory responsible for titles in the Smash Bros. and Kirby franchises, but amongst such a large and high profile library, there are several lesser-known titles that provide an interesting insight into the development of the company worth the attention of anyone who enjoys their titles today. The passion of the roaring crowd as the racers line up along the track… The smell of diesel and burning rubber as the fiery competition begins… The tension and excitement of a split second finish… These are all things that Le Mans does not have. 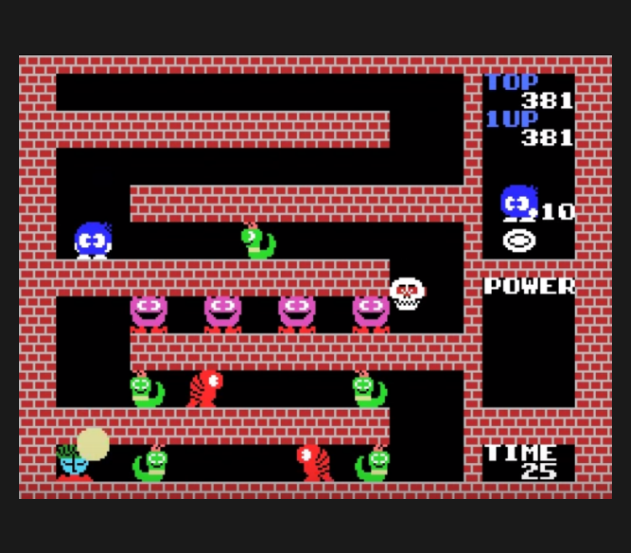 It’s by no means a bad game, with simple, vertical scrolling gameplay comparable to that of Spy Hunter (1987) and visuals reminiscent of a watered-down version of Namco’s Rally-X (1980), but it truly is as basic as it gets; the washed-out colour palette of the Commodore 64 meant that the graphics are nothing noteworthy, and the lack of music would certainly dismay fans of the beloved soundtracks featured in HAL’s later titles. But on a system undoubtedly rife with racing titles, what makes Le Mans stand out? 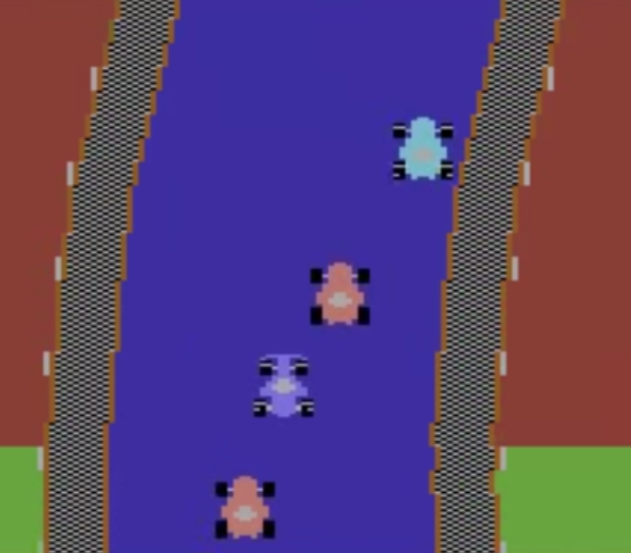 Well it’s the small touches in the game that prove it’s truly a HAL title; the charming (yet eventually somewhat grating) buzzing sounds as you speed past the other racers on the track show HAL make the best use of the limited technological capabilities of the C64 to create what would have been an authentic feel to the race (although certainly not by today’s standards). 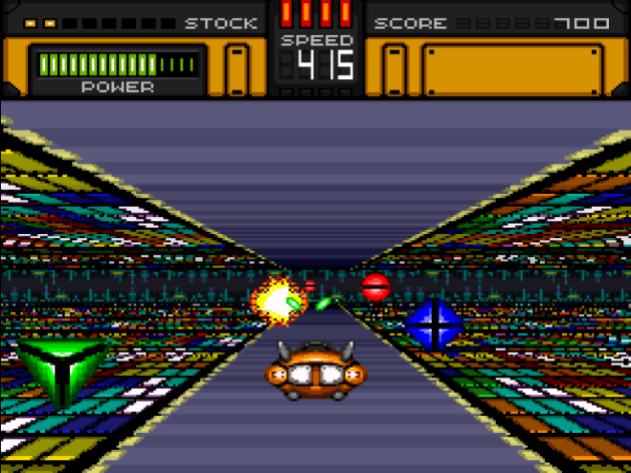 The tiniest visual touches, such as the pixelated headlamps that light the way ahead of you as you race through a dark tunnel, prove that despite the basic nature of the game, HAL have excelled at creating an experience that goes that little bit further using only simple means, something which can be seen in their more familiar titles such as Kirby’s Dream Land (1992). 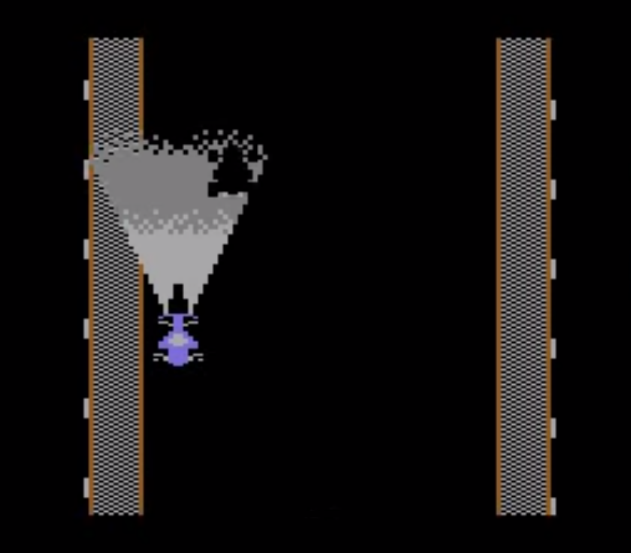 Arguably the most important pre-Nintendo HAL release is Eggerland Mystery (1985). 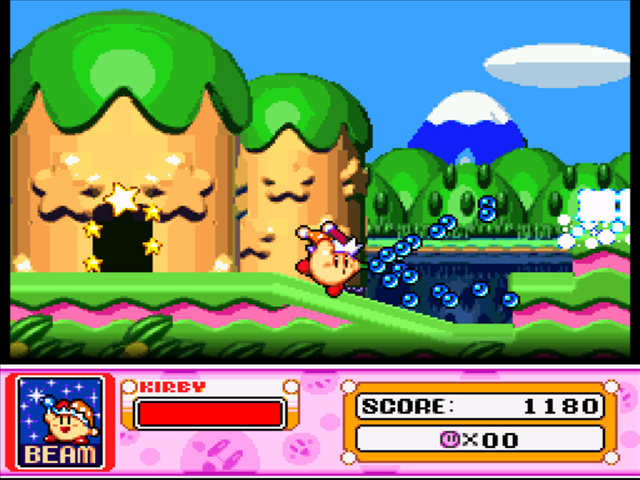 The game stars Lolo, a blue spherical character not unlike Kirby in design (and certainly familiar to anyone who played Kirby’s Dream Land, where he appears as half of boss Lololo & Lalala) who must rescue the daughter of King Eden, Lala, from the clutches of evil; it’s a fairly generic plot idea, and the block-pushing puzzle mechanics that are not-unlike those of 1990 NES title Kickle Cubicle are certainly nothing worth writing home about, but despite its shortcomings, the fact that the series would go on to receive a further eight titles (including the three western-released NES Adventures of Lolo games) suggests that the Eggerland series can be considered HAL’s first success as a game development company. 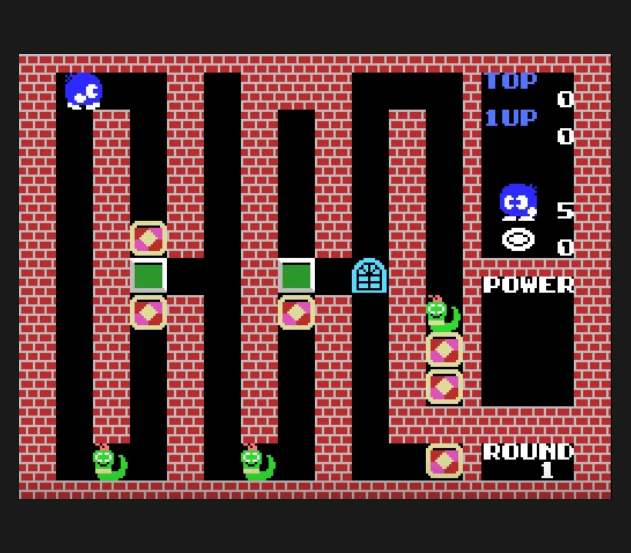 Eggerland’s diverse cast of cutesy and brightly coloured characters, cheerful (and catchy) soundtrack and easy-to-grasp gameplay suggest a turning point for HAL, as they began to gain their own identity as a developer; much like Le Mans, many of these subtle trends are reflected in the quality of their later titles. 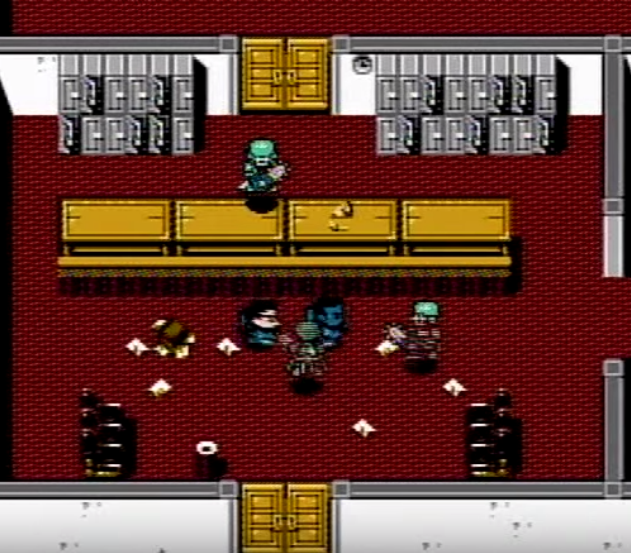 The opening cutscene of Air Fortress (pictured above) is a perfect display of HAL’s attention to detail. 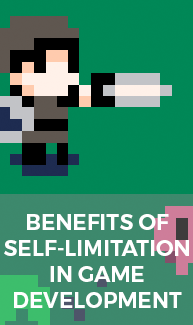 Sure, the graphics are by no means the technical spectacle seen in the likes of what is arguably HAL’s most popular NES title, Kirby’s Adventure (1993), the biggest title on the NES in terms of data, but it’s obvious that even much earlier in the console’s life, HAL were demonstrating their ability to utilise the limited power of the systems they work with, and still make something spectacular. 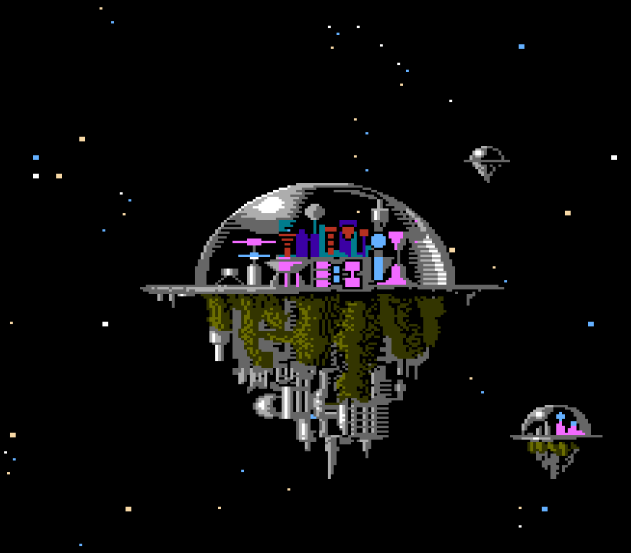 Air Fortress is a curio amongst NES games due to its extremely limited release in the west; the game was available to US players exclusively via mail order through an advertising campaign. Whilst the added incentive of a free Air Fortress t-shirt would certainly be alluring to anyone wishing to show off their affinity for the title, it’s fairly unsurprising that as a result of its low distribution it has faded into relative obscurity. 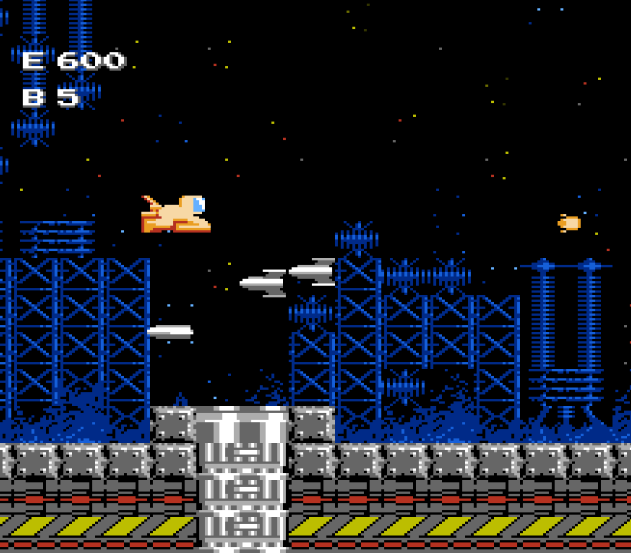 The gameplay of Air Fortress is that of your fairly standard side-scrolling space shooter, putting you in control of a quite strange-looking spacecraft against generic sci-fi enemies. Part way through each stage, the game takes a Blaster Master-like twist, allowing you to exit your ship and traverse the interior of each fortress on foot, which offers some nice variation and mixes up the way the game handles. Characters are simple and colourful, backgrounds are a detailed treat on the eyes and the music is catchy and fitting; all trends that are evident even in today’s HAL titles. 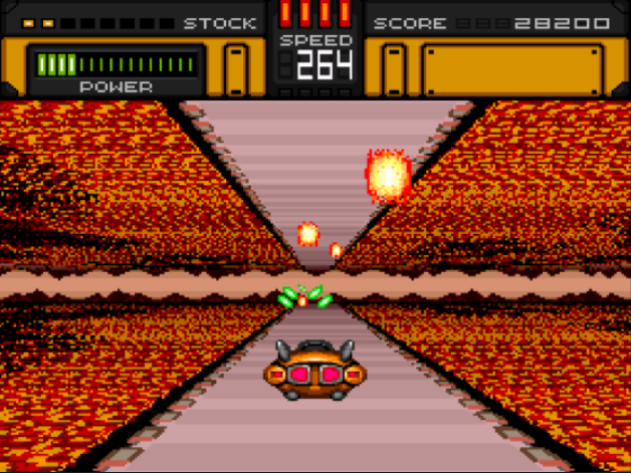 One of the first HAL-developed titles for the Super Famicom, on-the-rails space shooter Hyper Zone can be considered the HAL answer to the success of the likes of Space Harrier and F-Zero, offering up some quite abstract-looking action that takes elements from both racing and shooting games. 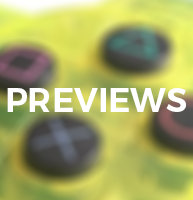 Its a title that makes great use of the SNES’ Mode-7 capabilities to display dynamic and eye catching visuals that give the illusion of 3D, which works especially well at showing approaching obstacles blasting into view. 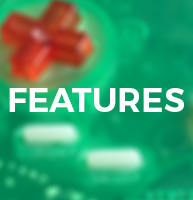 The game takes an arcade-like approach to completion, focusing around score from stage to stage and rewarding players who maximise their points total with ship upgrades offering greater firepower and recovery time. 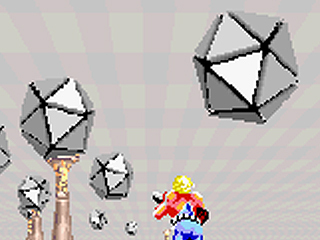 The whole game carries an incredibly interesting and obscure feel about it, the use of strange abstract forms and floating shapes not unlike that of Space Harrier‘s ‘Binsbein‘ obstacles and the brightly coloured, wildly flashing backgrounds reminiscent of both the futuristic cityscapes of F-Zero and the hostile alien environments of the likes of Galaxy Force II. The effective use of Mode-7 graphics once again shows HAL’s capability at getting the most out of new hardware. Published by what was then known as Squaresoft, Alcahest is a notable HAL release for a number of reasons. 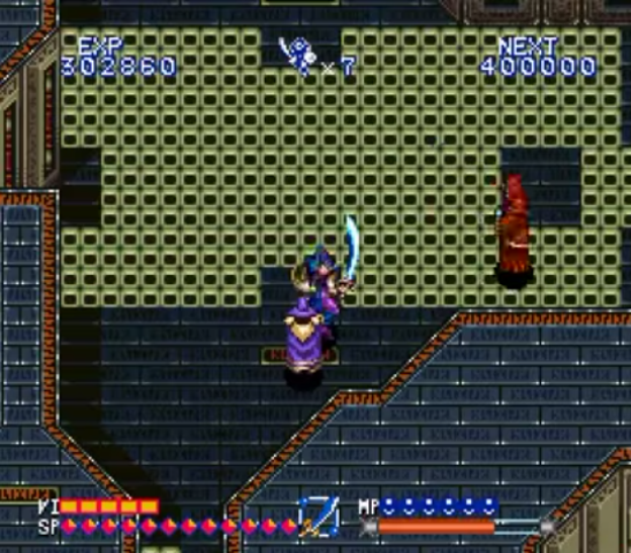 The game itself is a top-down action game not too different in formula to The Legend of Zelda, albeit with a more mature, gritty fantasy aesthetic. 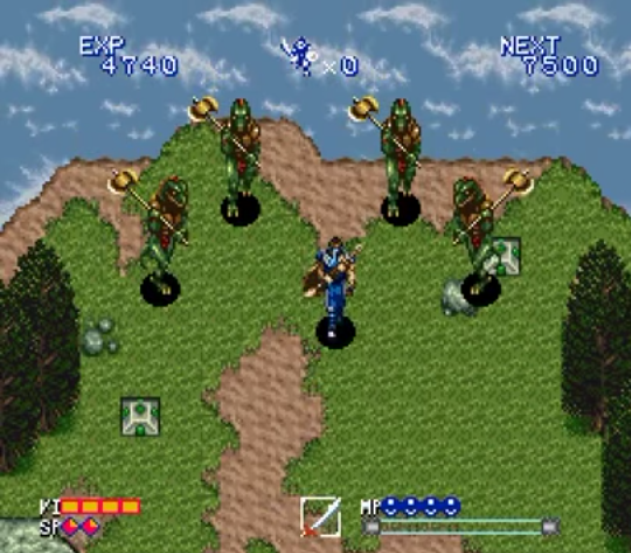 Unlike the more open world format of Zelda, Alcahest uses an arcade-style password system to divide up its 8 stages, with each stage focusing around gathering items to help the protagonist Alen defeat the demon lord Alcahest. Another interesting variation on traditional fantasy action is the introduction of an ‘ally’ system, which allows an additional character to accompany Alen at various points in the game, offering up their unique abilities as either attacks or for other special functions; hardly a complex addition, but a nice one none the less. In-game cutscenes offer a decent engaging fantasy story, all set to a fantastic score by Jun Ishikawa, producer of memorable soundtracks for previous HAL titles such as Kirby’s Adventure. Despite Square taking on a publishing role, Satoru Iwata notably took on the role of producer, making Alcahest one of the first Iwata-produced titles to grace the Super Famicom. 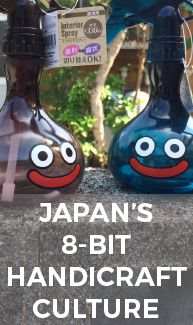 This one’s Japan-only, but fan translations do exist, making it worth a look! I thought it was important to conclude this article to address the fact that HAL Laboratory, creators of Kirby and Super Smash Bros., published and developed a Japan and PAL region-exclusive Ghostbusters II game. Something about this is surprising in itself, but the other big shocker about this title is that… it’s actually quite a fun take on a Ghostbusters game! 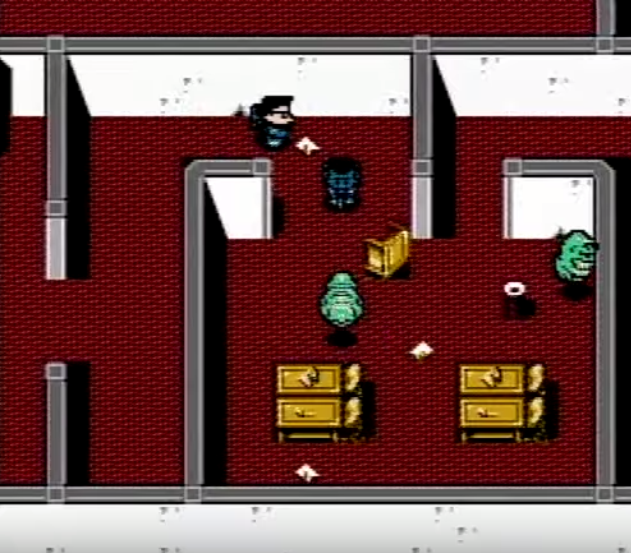 It’s hardly unpredictable in its formula, putting you in the shoes of Peter, Ray, Egon or Winston (with the Famicom version even allowing you to play as Louis, the accountant) and sending you to dispatch troublesome ghosts across a variety of different environments. What’s nice about this title is that despite releasing on both Famicom and Game Boy, both games are completely different, with different music, stage layouts and cutscenes, giving you two unique options if you need a Ghostbusters II fix both at home and on the move. So… this makes Slimer eligible for Smash Bros., right? 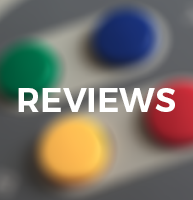 Have a favourite HAL Laboratory title, be it unheard of or legendary? Let us know on Twitter or Facebook! This entry was posted in Features, Retrospective and tagged Commodore 64, Famicom, Features, Game Boy, HAL Laboratory, Masahiro Sakurai, MSX, NES, Nintendo, Retro Games, Retrospective, Satoru Iwata, SNES, Super Famicom. Bookmark the permalink.